The Food and Drug Administration’s (FDA) inaction on e-cigarettes is putting teens’ health and lives at risk, according to a new report by the American Lung Association. In its annual State of Tobacco Control report, the group gave the FDA a grade of “F” for its inaction on e-cigarettes, according to CNN. Thomas Carr, National Director of Policy at the American Lung Association, said youth use of e-cigarettes rose 78 percent from 2017 to 2018. Currently 20.8 percent of high school students use e-cigarettes. Carr noted that regulating e-cigarettes is the FDA’s responsibility. 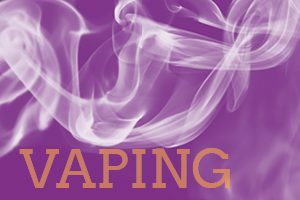 Hmmm….of course kids are experimenting with vaping…is that a surprise? The real question is how many do it regularly? According to the CDC it is only 1.5%, hardly an epidemic. Of course we don’t want kids to vape, but this “reefer madness” approach isn’t the answer. I give the American Lung Association and “F” for integrity. I wonder how much they get from the pharmaceutical industry, which like Big Tobacco is losing a significant amount of money due to vaping?